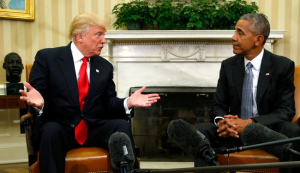 Contrary to presumptions that Donald Trump will not change US-Nigeria relation, analysts of global oil dynamics fear that the exact opposite could be the case. 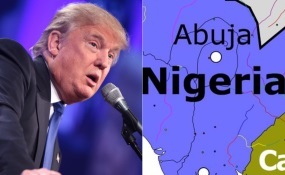 The fear is that beyond sustaining the current situation whereby the United States no longer lifts oil from Nigeria basically because it is self sufficient, Donald Trump’s certain intensification of fracking research and exploration would result in American consolidation if not newer in roads in global energy market share to the detriment of countries such as Nigeria. The United States currently produces close to 15million barrels of oil daily. If such further in road happens by mid to year end 2017, then that is when Nigeria would know what recession means, it has been argued. The scenario under reference is where oil prices do not rise but even possibly slide down to as low as $35 per barrel or possibly worse. Although the oil market can be so volatile in terms of the product as well as its price as for substantial price increase not to be ruled out rightly, the indicators regarding supply do not point in that direction. Apart from the US entry and her massive strategic reserve and the solid status of Saudi Arabia in terms of reserves, there is Iran. In the meantime, China which has been the highest consumer has her strategic reserve of a billion barrels. Nigeria can expand its share of global oil market by consolidating the African market and substantially annul the impact of US advances into the world market, that would depend a lot on how its energy infrastructure programme goes. Otherwise, possible responses of other major players could worsen things. A lot is said to hang on what Saudi Arabia does in the likely event that the US sustains its current output and market preponderance but also reduces the amount of oil it lifts from Saudi Arabia. Currently, the US still lifts close to five million barrels from Saudi Arabia, a substantial reduction of which will compel the kingdom to inch more powerfully into the Asian oil market to the detriment of a country such as Nigeria. Already, it is doing that. It is a matter of ‘crude’ diplomacy and national interest in global power politics. Beyond resolving the internal threats to oil production, Nigeria is still challenged by the subject position imposed on her by the rather frivolous manner it has managed her relatively vast oil resources. Not only has it failed to build a functional modern economy from oil resources through strategically informed investment, it has not really anticipated nor come to grips with the painful dimensions of that commodity called oil. It is suddenly bitten by the diversification bug but, even in the best of times, that is not something achieved over night. It can be even more sluggish in a Nigeria where the elite crisis of mission is estimated to be Africa’s most profound, most disturbing and the most disappointing. Elite juvenility is not only argued to show most in the pervasiveness and brazenness of corruption but also in the lack of an elite pact on dealing with it. Without such a pact, fighting corruption makes the protagonists the personal enemy of the antagonists, making anti-corruption campaigns to degenerate into a divisive and destabilising front. 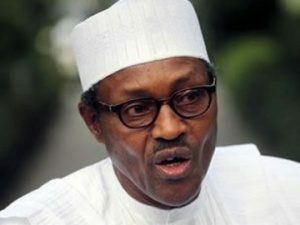 President Buhari has alleged this much in respect of the current phase of the anti-corruption, for example, even as he says that victory is certain. What that victory might look like if the current recession intensifies rather than recede is anybody’s guess.